22nd November 1917, aged 19. 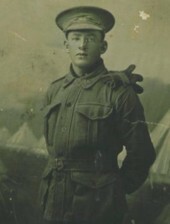 A member of the 1st (later 35th) Battalion, of Parramatta, NSW. A farm labourer prior to enlisting, he embarked from Sydney aboard RMS Osterley on 10 February 1917. 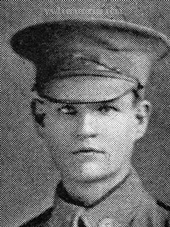 Pte Bale died on 22 November 1917, in the 2nd Australian Casualty Clearing Station, France of wounds sustained in action, aged 19. He is buried in the Trois-Arbres Cemetery Steenwerck, France. 1st October 1918, aged 28. 4th July 1917, aged 22. Son of William Benjamin and Kate Bicheno, of 94, Banbury Rd., Bicester, Oxon, England. From Gayndah, Qld. A farmer prior to enlistment, Pte Brown embarked with the 5th Reinforcements from Melbourne on HMAT Commonwealth on 19th September 1916. He was killed in action on 28th December 1917 and is buried in Trois Arbres Cemetery, Steenwerck, Belgium. 6th February 1918, aged 23. 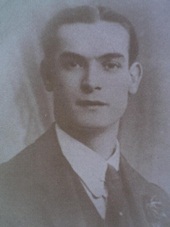 Son of James and Sarah Deane. Native of Erskineville, New South Wales. Picture courtesy of Judy Deane, James was her husbands great uncle. 36th Bn. 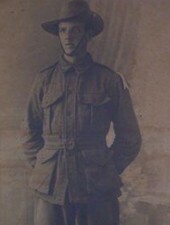 Australian Infantry, A. I. F.
8th June 1917, aged 27. Son of Charles Henry John and Sarah Diews, of 62, Darghan St., Glebe, New South Wales. Native of Katoomba. 13th December 1917, aged 30. Son of Edwin Clarence Johnstone Graves and Agnes Graves, of "Benalta," Nimmo St., Essendon, Victoria, Australia. Native of Merino. An auctioneer from Coburg, Victoria, enlisted in August 1914 aged 27. He died on 13 December 1917 of a bomb wound, resulting from an accident. Clarence Henry Green M. M.
26th July 1917, aged 28. Son of Henry Thomas and Anderina Green, of 33, Littlebourne Rd., Roslyn, Dunedin, New Zealand. Also served in Gallipoli. From 17th to 20th September 1916, he located and repaired wells in the newly captured village of Flers. This service was performed under continuous shellfire. He has done consistently good work throughout from April to September in France. Son of Stafford John and Alice Greer; husband of M. Greer, of Kitchener Rd., Hendra, Queensland. Native of Bunya, Brisbane. 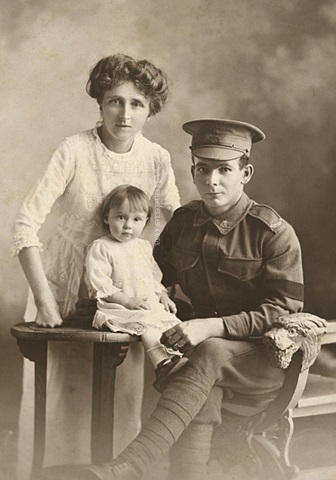 Family portrait of 2319 Private (Pte) Stafford John his wife Margaret and their baby Lillian Marion. 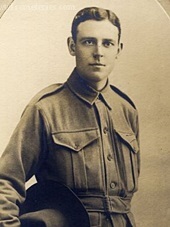 Stafford enlisted in the AIF serving as 2319 Private (Pte) Greer, 42nd Battalion, of Brisbane, QLD. A butcher prior to enlistment, he embarked from Brisbane with the 4th Reinforcements on board HMAT Boonah (A36) on 21 October 1916. 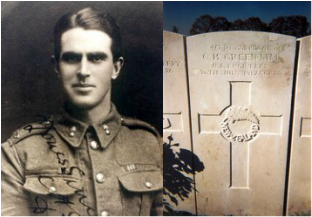 Pte Greer served on the Western Front and died of wounds at Warneton, Belgium on 1 August 1917, aged 26. 5th June 1917, aged 23. Son of William and Elizabeth Griffith, of "Glenview," March, Orange, New South Wales. From Orange, NSW. A farmer prior to enlistment he embarked with the 3rd Reinforcements on HMAT Suffock (A23) on 10 October 1916. 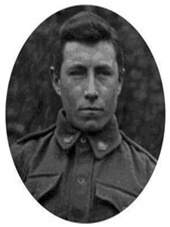 Pte Griffin died of wounds on 5 June 1917, aged 23.